Irian has never had her own home before. For her whole life she has moved from one overcrowded living situation to another, trying to avoid becoming homeless. However, in 2011, she and her newborn son had nowhere else to turn and were placed in a state-funded motel room for homeless families. 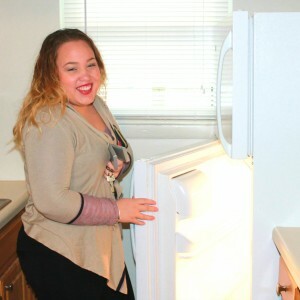 After six months of sleeping in a motel room, Irian received a transfer to a shelter with an array of self-sufficiency services based in Dorchester. 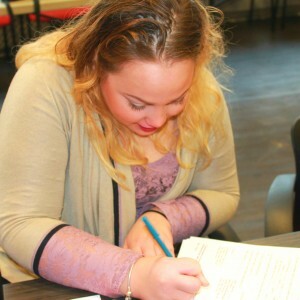 Irian and her housing search case manager were diligent in applying to as many housing opportunities they could. Three months later, Irian came to the top of one of New Lease’s development lists, and signed her lease at the beginning of January, 2015. Irian let us join her on her big day! We were with her as she signed her lease, learned about her new home, and opened her own door for the very first time! It was an emotional, exciting day that we are honored to share with you.